Picking the right type of credit card is more of an art than a science. It’s like choosing your Dungeons & Dragons character or starter Pokemon. In fact, just like Bulbasaur, Charmander and Squirtle, there are 3 major types of credit cards in Singapore – cashback, rewards and air miles credit cards. These are not all the credit card types, but they’re the most popular ones. So how do you figure out what type of credit card suits you best? First, you have to understand how each one works, and their respective pros and cons. In the end, only YOU can say which one is most suitable for you. 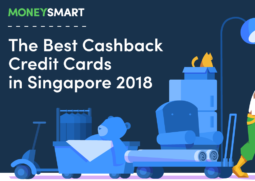 Cashback credit cards in Singapore – who are they for? A cashback credit card gives you cash rebates that are linked to your spending. That means a small percentage of your total spend is automatically credited back to you – effectively, a discount off your next credit card bill. The most basic kind of cashback card has a standard rate (sometimes known as basic cashback or base rate) for calculating the rebate. This number starts from around 0.5% but can be as high as 1.5%. Of course, even 1.5% sounds rather puny. To entice customers, banks now issue all sorts of cashback cards with meatier bonus cashback rates of up to 8% for spending in specific categories (e.g. dining), with specific companies (e.g. 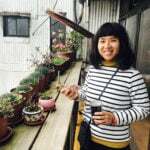 Grab) or in specific circumstances (e.g. on weekends). Note that many of these enticing rebates also come with all kinds of terms & conditions, most prominently minimum spend requirements and/or cashback caps. Most cashback credit cards have minimum spend requirements and cashback cap restrictions, meaning there’s usually a sweet spot where you max out on rebates. It also means you don’t have to spend wildly to get the best returns. If you spend quite modestly, it’s going to take you forever to get air miles on an air miles credit card. Cashback credit cards, on the other hand, don’t require that kind of expenditure – as long as they have manageable minimum spend requirements. You don’t need to spend thousands of dollars a month to get decent returns. We’re not gonna lie – cashback cards aren’t the most exciting on the market. You won’t get a round-the-world trip to show off on Instagram, nor will you be able to go on a shopping spree with CapitaMall vouchers. If you’d rather have extra money in your pocket than such flashy rewards, then a cashback credit card is right for you. Remember how we said cashback cards are good for lazy people? That’s not strictly true for ALL cashback cards. Some can get really complicated with many different tiers/categories and terms & conditions. The onus is on you to make sure the card will reward you for your ACTUAL spending habits. Otherwise you’ll either lose out on the cashback or, worse, end up spending more than planned just to qualify for the bonus tiers. Think cashback cards are for you? Shop for the best cashback credit cards in Singapore. 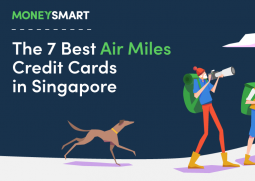 Air miles credit cards in Singapore – should you get one? If you read any travel websites, you have probably come across at least one proponent of “travel hacking” whose story goes something like “I flew around the world in First Class for free and so can you! Pay $9.99 for my e-book to find out how.” Before you buy that e-book – we’ll tell you how. Most of these lobangs involve air miles credit cards – sometimes known as miles cards or frequent flyer credit cards. The numbers vary from card to card, but there’s usually a local earn rate (e.g. 1.2 miles per dollar) and a higher one for foreign currency spending (e.g. 2 miles per dollar after conversion to SGD). Bear in mind, though, that overseas spending incurs transaction fees. American Express is the only credit card company that lets you earn KrisFlyer Miles directly. With all other miles cards, you earn the bank’s reward points (e.g. Citi Miles, DBS Points) which you have to convert later into miles. This typically costs time, money, and there may be restrictions on how many points you can redeem. There’s a lot of number crunching you need to do if you want to find the absolute best air miles credit card. In fact, cards that yield the highest miles per dollar may not even be marketed as an air miles card! Many air miles enthusiasts sniff at cashback cards. They don’t get what’s so great about getting a few bucks off your bill every month – how can that possibly compare to a glorious trip to the Maldives? If this is you, it’s a clear sign that you’re cut out for the air miles life. I’m sure there’s some kind of neuroscience-meets-evolutionary-psychology explanation for this. Maybe the air miles people are descendants of hunters and the cashback people were once gatherers. In any case, sometimes your brain is set up a certain way and you just gotta roll with it. People with relatively simple lifestyles will find using a miles card excruciatingly slow. 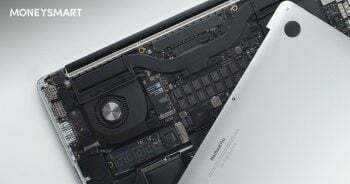 But on the flip side, miles cards totally work in favour of those who charge a lot to their cards – such as family breadwinners or frequent business travellers – or if you have big expenditures coming up – like a wedding or new home. Unlike cashback cards or rewards cards, there’s no cap on the miles you can earn. Air miles credit cards aren’t going to be fun for you unless you’re genuinely excited about travelling in style. I’m talking about flying Business Class to New York, that kind of thing. If you’d rather stay home and read a book, then you’re not going to be very motivated to earn points. Unless your lifestyle is pretty ballin’ or you have to foot the bill for your hideously expensive wedding (I mean, the most beautiful day of your life), it will probably take you a long time to earn enough miles for that coveted flight to Paris. If you have your heart set on that, choose a card whose miles don’t expire, and be prepared to really play the long game. Using a miles card sounds really glamorous and effortless, but the truth is that there’s a whole lot of PhD-level nerdery involved. Because there are so many different programmes for earning air miles, it is crucial to check out the fine print on your miles card. Important details like expiry dates, redemption costs, redemption lead time, etc. are significant because you’ll need to bear them in mind constantly to manage your miles. You really do not want to have your hard-earned miles expire on you! Think air miles cards are for you? Shop for the best air miles credit cards in Singapore. Rewards credit cards in Singapore – what’s the point? Rewards credit cards is a very broad term – almost every bank gives “rewards” points for every dollar charged to your credit card. The points can be accumulated so you can redeem stuff – shopping vouchers, gifts, and even air miles. These cards are set up with rewards points systems with a standard rate, for example $5 = UNI$1 or $1 = 5 STAR$. But that’s not enough to entice customers, so banks also throw in sweeteners like “10X rewards on online shopping / Apple Pay / [insert consumer behaviour here]”. Now, that’s the real reason to get a rewards card. These multiplier or bonus points let you rack up the points a whole lot quicker, as long as they fit your spending habits. Many rewards credit cards come with expenditure caps – you’ll only earn rewards up to $1,000 a month, let’s say – so keep that in mind. If you’re planning to incur huge expenses then you might end up “wasting” some of your money. So who should get a rewards card? If you’re a regular Joe spending below $1,000 a month, then it’s well worth considering a rewards card as your main credit card. Pick one with bonus points for the right categories, and you can actually earn miles much more quickly than with a miles card. Plus, you have the flexibility of deciding whether to redeem air miles or vouchers eventually. In fact, many miles chasers pair their miles card with a rewards card – the latter is for their day-to-day frequent spending categories (e.g. dining or shopping), while the miles card is used as a “catch-all” for random expenses and travel-related ones. Don’t think that just because you have the highest earning rewards card, you’re all set. You need to check out the rewards catalogue and see if there’s anything you actually want before you start using the card. If you’re after air miles, that’s fine. But what if the catalogue only has stuff like Mothercare vouchers, and you’re single as can be? Get a sneak preview of the rewards catalogues in Singapore here. Think rewards cards are for you? Shop for the best rewards credit cards in Singapore. Conclusion: Which credit card should you choose? There are so many factors that come into play when you’re picking the right credit card. There’s your annual income and spending habits, of course, but there’s also stuff like your personality, what you value, how you prefer to be rewarded, how much time and energy you want to devote to your credit cards. Only you can decide which type suits you best. 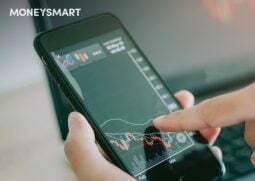 But if you’ve made it to the bottom of this article, you would probably have a better understanding of the 3 major types of credit cards in Singapore – and with luck, one of them might intuitively appeal more to you. Which starter Pokemon will you pick? Tell us in the comments!